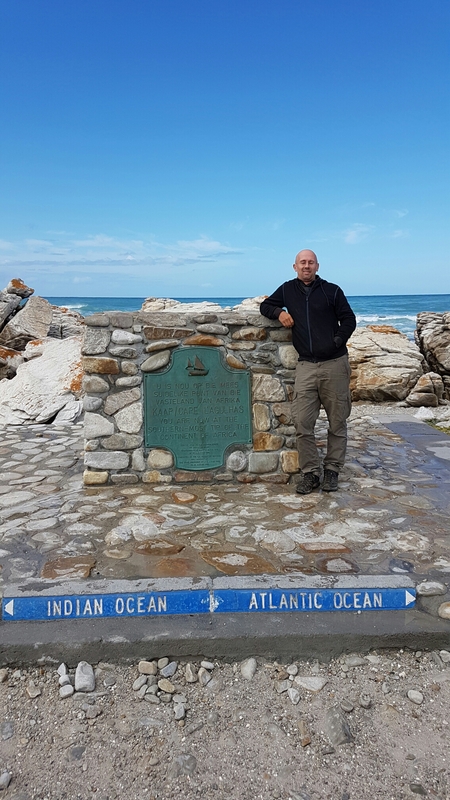 Cape Agulhas. 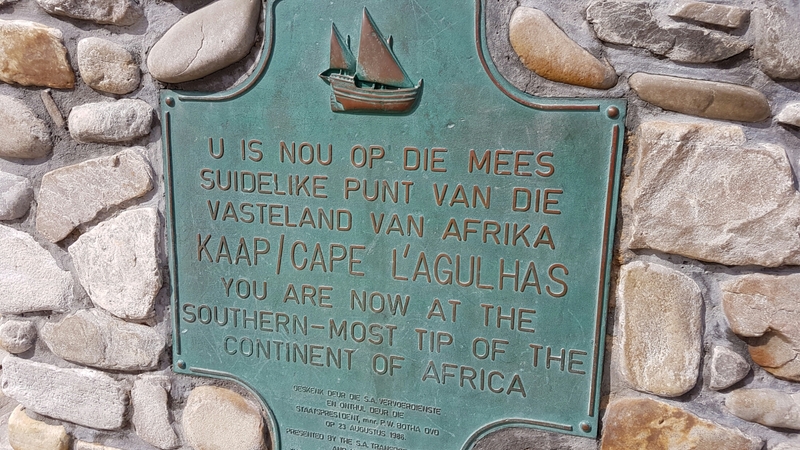 Southernmost point of Africa. Indian ocean on the left, Atlantic on the right. As is my habit on reaching oceans, I dipped a toe in each. Sadly a little difficult to dip wheels in the water. And it’s the end of the trip. A quick jaunt up the very scenic coastal route to Cape Town, and then a few days in the executive suite at the Westin, where it will be very nice to be clean and tidy instead of covered in dust. 7 countries, almost 8000 miles, and amazingly every target hit exactly according to the plan, and yet so much better than any expectation or imagination. 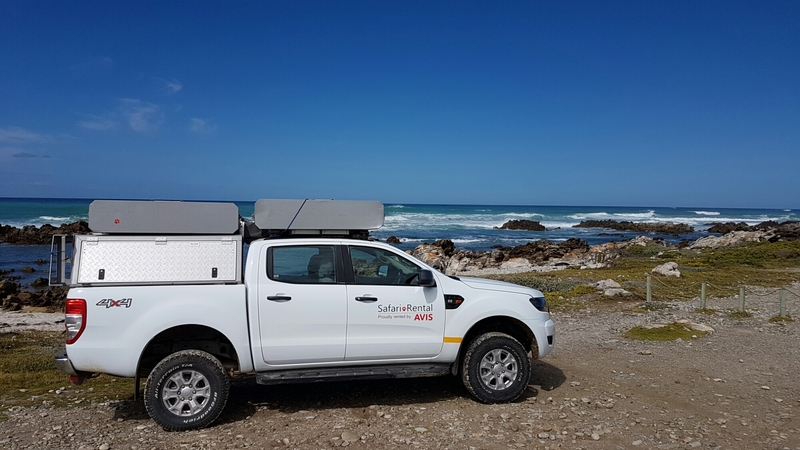 Cape Agulhas. The end of Africa, and the end of the trip. And that was an amazing trip. Not quite as good as riding a motorcycle across Mongolia and through Siberia, but close. Pretty damn close.